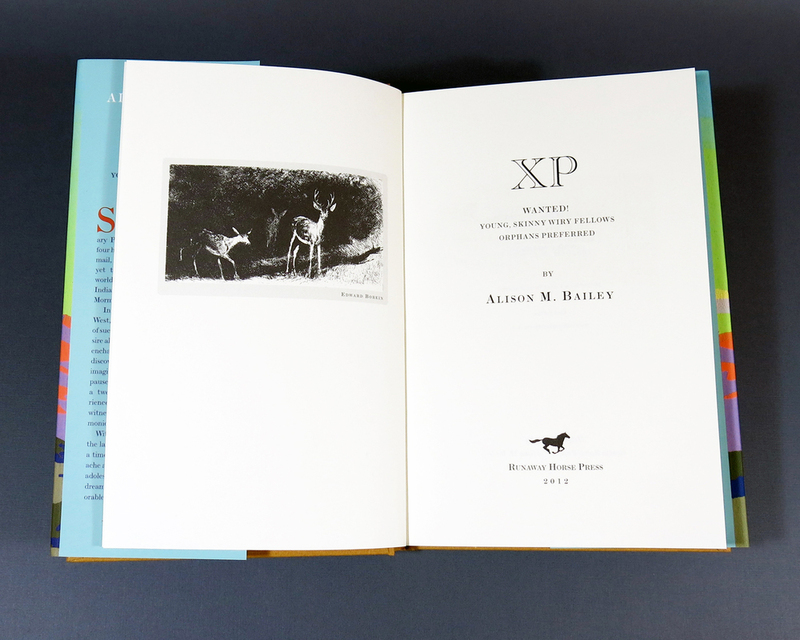 A page featuring images of a book designed at Lumino Editions for Runaway Horse Press. 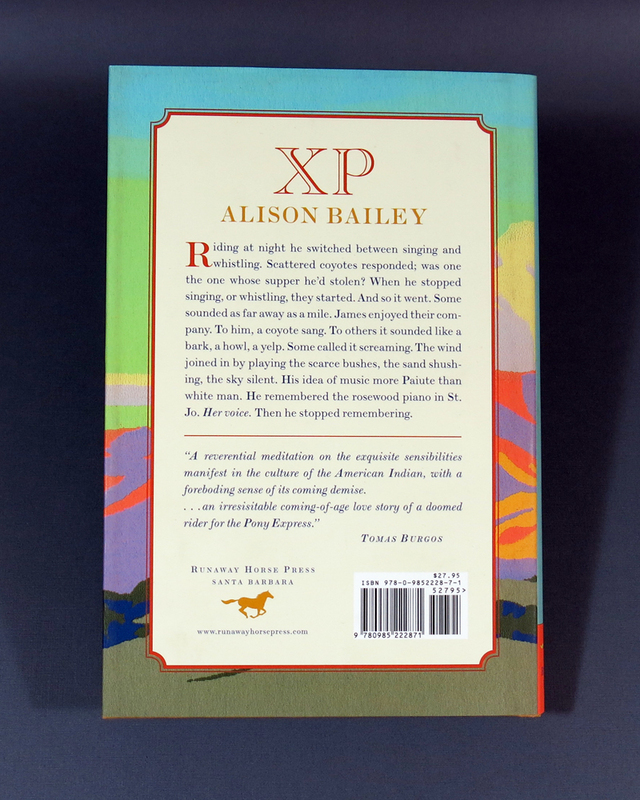 XP is a novel set in the American west during the time of the Pony Express. 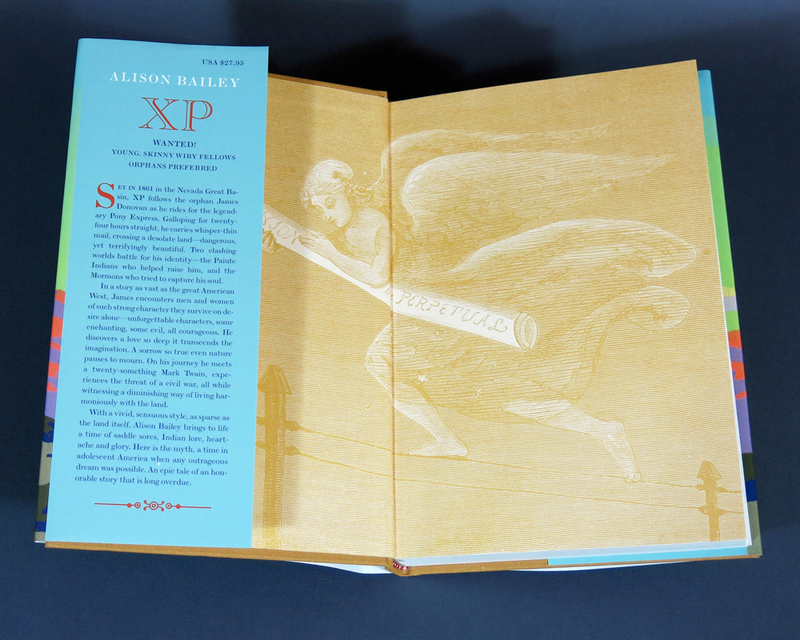 Book designed by John Balkwill of Lumino Editions. 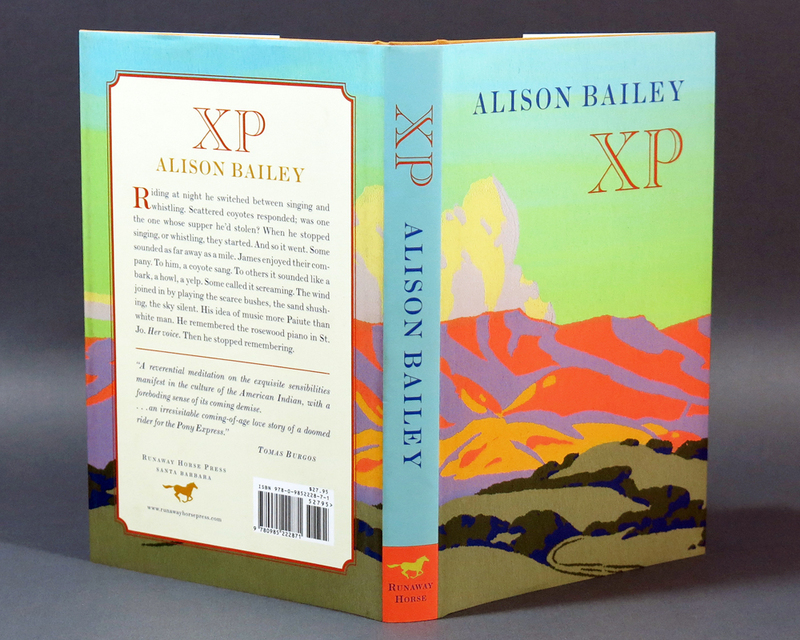 The novel is a melancholy romance set in the American West during the era of the Pony Express. While presented in a contemporary design style the book contains elements which allude to the historical period of the setting. The text is typeset in Monotype Scotch Roman, a typeface ubiquitous in 19C American printing while another popular typeface of the era, Caslon Open, is used for titling. 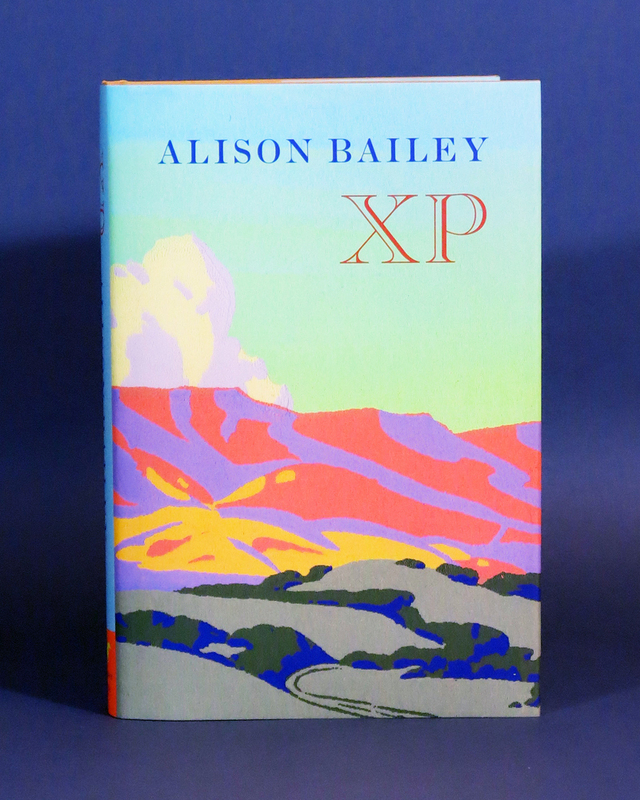 The cover of the dust jacket is based on a woodcut by the early 20thC American artist Edward Horace Nicholson. The printed endpapers are from a wood engraving appearing in an 1869 issue of Harper's Weekly depicting the first message sent on the new transcontinental telegraph wire. Page size 6 x 9". Casebound in tan bookcloth with title and ornament stamped in silver. Printed on archival quality paper in the United States. Produced for Runaway Horse Press.